Interested in nutrition from an early age, specifically lipid chemistry, Dr. Beare-Rogers dedicated her career to research. She started as a research associate at the University of Toronto, and continued as an instructor of physiology at Vassar College. She then became a food chemist for Drug Directorate, a research scientist for Health Canada, and a research manager for the Bureau of Nutritional Sciences. Dr. Beare-Rogers loved her work so much that, even upon her retirement in 1991, she continued to help in her field as a consultant to the Food and Agricultural Organization in Rome. Her post-retirement endeavors also included serving as trustee of the National Institute of Nutrition Canada, Hilditch Lecturer in the United Kingdom, panelist on food biotechnology for The Royal Society of Canada, and consultant for FAO. One of the highlights of Dr. Beare-Rogers’ career was becoming the first woman and the first Canadian president of the American Oil Chemists’ Society. She was also proud to win the Queen’s Diamond Jubilee Medal in 2012, the Queen’s Golden Jubilee Medal in 2002, the Lifetime Achievement Award from the Canadian Section of the American Oil Chemists’ Society in 1995, the McHenry Award from the Canadian Society of Nutrition Management in 1993, and the Commemorative Medal for the 125th Anniversary of the Federation of Canada in 1992. Other notable accolades include receiving the Normann Medal from the German Association for Fat Research, the Crompton Award from McGill University, the Medaille Chevreul Award from the Institut des Corps Gras, the Queen’s Silver Jubilee Medal, and the Bordon Award from the Canadian Society of Nutrition Management. A leading voice in her field, Dr. Beare-Rogers has been active in a number of prominent organizations. She was named a fellow of the American Institute of Nutrition and of The Royal Society of Canada, the president of the Canadian Society of Nutrition Management, and a member of the International Society for Fat Research. Additionally, she served The Royal Society of Canada as a chair of the committee of awards and medals and as an honorary treasurer. 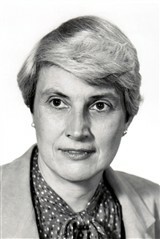 Also having written extensively in her areas of expertise, Dr. Beare-Rogers was the editor of “Fat Requirements for Development and Health” in 1988 and of “Methods for Nutritional Assessment of Fats” in 1985, and was a contributor of many journal articles on dietary fats. Her professional designations include a Bachelor of Arts in science in 1951 and a Master of Arts in nutrition in 1952 from the University of Toronto, a PhD from Carleton University in 1966, an honorary Doctor of Science from the University of Manitoba in 1985, and an honorary Doctor of Science from the University of Guelph in 1993. In her spare time, Dr. Beare-Rogers, she enjoys hiking, canoeing, cross country skiing, reading, and bridge.